Take a trip to another country without ever leaving Oregon. In fact, this amazing venue is only 30 minutes outside of Portland, but feels like a world away. For more images from this amazing old world spanish wedding shoot head on over to Brittany Lauren Photography’s blog. Why not think outside of the box when planning your portrait or engagement session? 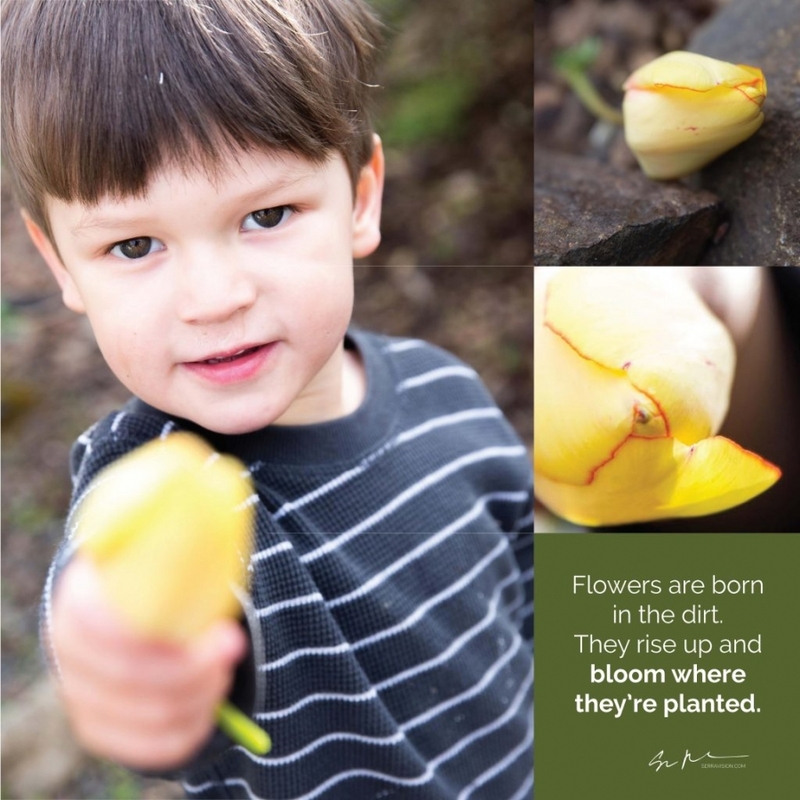 Create images that showcase life and have a feeling of realness to them by opting for a lifestyle photo session. They can take place in your home, in your art studio (like pictured above), at a vacation home while you enjoy the forest, snow, or coast line….the possibilities are unlimited. See more of this curated lifestyle session by heading over to Brittany Lauren Photography’s blog. Valentine’s Day is just around the corner and I don’t think there is anything more romantic than the idea of running away and eloping with the person you love. To get in the spirit be sure to check out this Valentine’s Day Elopement inspiration shoot by Brittany Lauren Photography! The start of a new year is not only a great time to make new plans and goals, but it’s also the best time to look back on the good things and successes you experienced the previous year! Head on over to Brittany Lauren Photography’s blog to see a curated list of 15 images from 2015. It was a great year full of growth both artistically and in my businesses as a whole. I can’t wait to see what 2016 brings and all the wonderful things I’ll get the opportunity to photograph. Taking a vacation to Mexico is an amazing experience in and of itself, but having your trip documented and commemorated with professional portraits makes it unforgettable. The colors and beaches of Puerto Vallarta didn’t disappoint for this Mexico portrait session and you can see more of it on Brittany Lauren Photography’s blog! Marina & Anthony got married at The Town Club. It’s a secret society type venue in the middle of downtown Portland, but feels like you’ve been transported somewhere in England. To see more of this classic garden wedding head over to Brittany Lauren Photography’s blog! 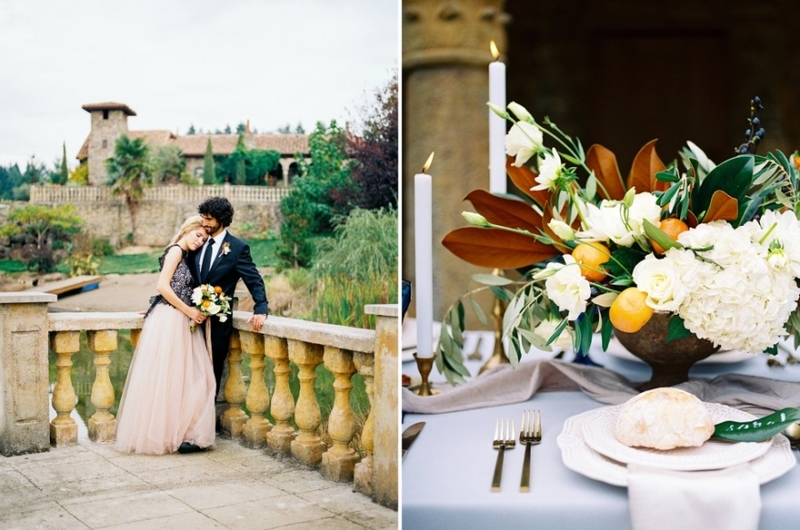 This Spanish wedding inspiration shoot by Brittany Lauren Photography was inspired by the color and energy of Granada, Spain. It features an amazing Emily Riggs gown, a rustic table meant to be enjoyed, and a veil blowing in the wind reminiscent of Spanish bull fighters. Why only have your photo taken when you get married and when you have children? I think scheduling an Anniversary Session is a great way to spend your special day loving on each other and commemorating your milestones along the way! Grace & Ginmann travelled all the way from Chicago for their Anniversary Session and we had an amazing time exploring on of my favorite Portland locations. Bold, minimalist jewelry paired with luxurious fabrics and a full, flowing skirt is the perfect inspiration for a modern bride looking to incorporate a touch of modern aesthetic into her wedding day look. Sauvie Island is the perfect place to visit on a summer’s day and makes an extremely versatile and fun environment for senior portraits! They say classic never goes out of style and I think Ellie & Nate’s wedding at Willamette Valley Vineyards last fall proves that point! The weather was perfect, the style was timeless and romantic, they have amazing families and support systems who were there for them every step of the way, AND they had the sweetest and most emotional toasts I had ever heard at a wedding. Plus, it was raining on Nate’s face the whole day-I just love their first look photos! Who doesn’t love a groom who isn’t afraid to show his emotions and just how in love he is with his bride? Head on over to Brittany Lauren Photography’s blog to read Ellie’s take on their Classic Oregon Vineyard Wedding and see the rest of the stunning images! This family session was the perfect inspiration for a spring family photo shoot. The color palette was perfect, their outfits coordinated flawlessly, and the whimsical indoor tent was so much fun! Be sure to check out the rest of this spring family session over at Brittany Lauren Photography’s blog to get more ideas and inspiration for your own spring or summer photo shoot! Clouds, Wind, and the threat of torrential downpour couldn’t keep this couple from making the most of their engagement session. I can’t think of a better way to celebrate your recent engagement than spending the day with this stunning backdrop, wearing a stunning Alexandra Grecco tulle skirt, and having a fun picnic with champagne and cake. To see more of this romantic Smith Rock Engagement session head over to Brittany Lauren Photography’s blog! Less is often more when deciding on a location. Regardless of the type of setting you seek out, an ideal location is free from too many visual distractions. It’s clean, quiet, and relatively secluded. A quiet setting will help you feel comfortable in displaying your affections and keep you in the moment. If you’d like to get a couple more tips on how to choose the perfect engagement session location, head over to Brittany Lauren Photography’s blog! Sometimes Portland can start to feel dreary and make you yearn for warm, sunny, beach days. Throw in a fun impromptu elopement and you have a dream vacation! This shoot was inspired by the idea of escaping the rainy and cold winter, running off to a sunny beach, and eloping with the person you love more than anything. Check out the rest of this beach elopement inspiration on Brittany Lauren Photography’s blog! Claire Pettibone has been one of my favorite wedding dress designers for a long time and it was a dream come true to finally get to photograph her amazing gowns! They have such soft detailing, intricate lace designs, and the perfect touch of femininity that’s sure to make any bride feel her absolute best on her wedding day. To view more of this Romantic Bridal Session head over to Brittany Lauren Photography’s blog! Why should couples hire a coordinator? Weddings are very expensive and require couples to make tons of decisions. On top of that, most couples have not planned a wedding before so the process can seem confusing and overwhelming. A coordinator gives them an experienced partner by their side helping them navigate the process and take the guess work out of planning. We are also able to help them avoid costly mistakes. I also firmly believe that having a professional team there on the day of the wedding to ensure the couples vision comes to life and ensure problems are solved is priceless. The couple and their families have waited so long for that day, they deserve to enjoy it to the fullest. If you’re in the beginning phases of planning your wedding it’s a post you don’t want to miss the rest of the interview!